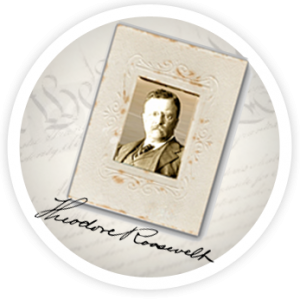 The Honest Ballot Association provides electronic voting systems and machines for rent to help you conduct fair, honest, comprehensive elections in any forum. HBA has been active since 1909, helping organizations elect their leaders and contest winners with a systematic and unbiased strategy. In its more than century-long career, HBA has adapted to use the latest technologies to certify that each election is fast and accurate. From voting machines to software to certification, HBA covers each detail of your election and ensures the process is easy, accessible, quick and completely accurate. HBA works hard to eliminate error, malfunction and confusion in the process, so you can focus on campaigning and organizing your event. From labor unions, to credit unions, co-ops, condo associations, school boards, contests and lotteries, HBA assists a wide variety of programs and organizations across the country. HBA programs each voting machine and ballot to accommodate all rules and regulations, so your election is completely legal, accurate and accessible to all. 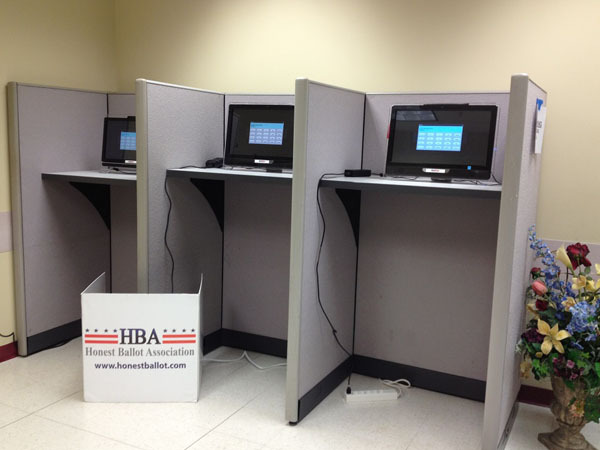 HBA utilizes VotRite Caesar II and II touch screen voting machines for each election and lottery. With a variety of functions and programmable features, the VotRite machines are easy to use in any election, contest or lottery. They can be easily programmed with instructions included on the ballot, an introductory paragraph, a comments section, pictures to accompany the voting options and other features to make voting easier for all. Different languages may be used and a variety of different voting selections. For elections and contests, voters can see the names of each candidate, read blubs about them and see their accompanying picture. You may select a few options to choose from or dozens from a large pool of candidates. A single winner, multiple winners or different places may be chosen from the election, all from one easily customizable ballot. The ballot may be presented in several different languages and all voting machines are handicap accessible. While voting, selections may be reconsidered before the vote is cast and finalized. HBA takes great pride in creating a voting process that is both simple and accurate, thereby eliminating errors from confusion. All voters will be able to easily understand the voting process and find exactly which candidate they prefer. 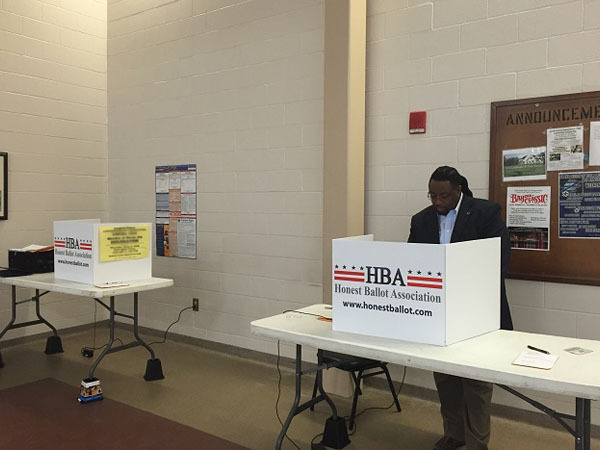 HBA works hard to eliminate error and stop fraud during the voting process. Counting errors, intentional misrepresentations and multiple votes are all preventing through the systematic voting process. HBA carefully monitors and controls the security of each election, from the smallest groups to the largest, and ensures each vote is genuine and unique. The software used prevents any person from casting more than one vote, unless otherwise specified. To provide additional security and accuracy, HBA removes the possibility of counting errors by counting and securing votes through the organization. As an independent party, HBA verifies the votes and gives you professional certification the election was accurate, fair and secure. The confidentiality and accuracy of each vote are all strictly protected within the system to ensure they are fairly counted. HBA tallies the votes automatically through the software and delivers the results directly to your organization once the vote is complete. HBA helps to plan, conduct, supervise and certify thousands of elections across the nation with parameters and options that each organization specifies. 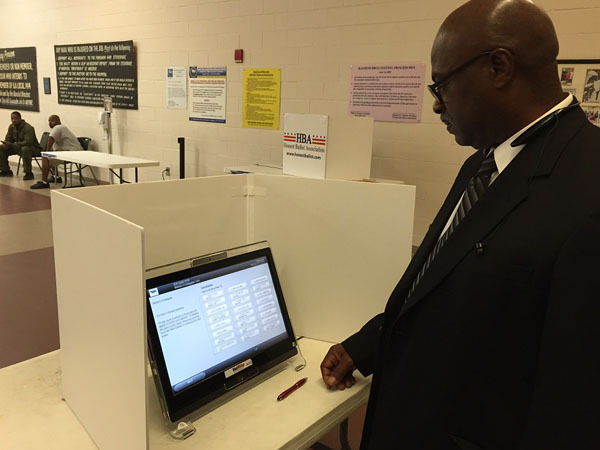 Voting machines are not only fast and secure, but they are also easy to use and reliable. HBA voting machines are 100% reliable to ensure your elections go smoothly. Once the vote is cast, the machine automatically resets for the next person. If you encounter any malfunctions with your machine, HBA is available at any time to help you resolve the problem. HBA makes it easy to conduct your election fairly and securely. The association takes care of everything you need in your election, contest or lottery, from providing the machines to counting the votes to delivering the results. HBA understands the importance of maintaining a fair election that is also fast and easy to understand. HBA delivers your results quickly with complete disclosure of all results, so there are no questions or uncertainties about the process. Whether your election or contest involves a broad institution or a small pool of voters, you can easily and decisively host and complete the process in a short time. A single day is all you will need to cast votes and HBA delivers your results quickly once all the votes are finalized. To learn more about the voting machines, software and certification through the Honest Ballot Association, click on each section of the website. You may also call to learn more about hosting your election through HBA and speak to a helpful representative to answer all your questions. Find out more about the services available for your election and how you can customize the voting machines to suit the candidates available and the options and features you need.